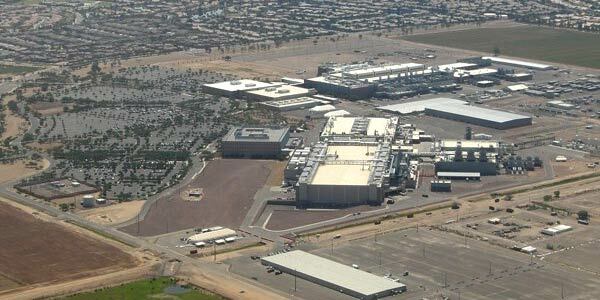 The opening of a new 14nm chip manufacturing facility in Arizona, called Fab 42, has been put on hold by Intel. The fab was supposed to open at the end of last year, after being announced in February 2011. Back then, when we first heard about the construction plans, Intel said it was investing $5 billion into the project. Fab 42 was a high profile project. The plans were revealed when President Obama visited am Intel facility in Oregon in 2011 and were subsequently highlighted by Obama as a prime example of the potential of manufacturing in the US, reports ComputerWorld. Of course it's difficult to put a positive spin on this news so instead Intel resorted to saying that the cancelled fab opening is a minor change in its plans. Intel spokesperson Chuck Malloy wrote an email discussing the news and said that Intel's fab utilisation remains at 80 per cnet and that it doesn't need to spend to start up the new facility right now "If we can maintain that 80 percent capacity with the existing space, why spend the additional capital?" reasoned Mulloy. 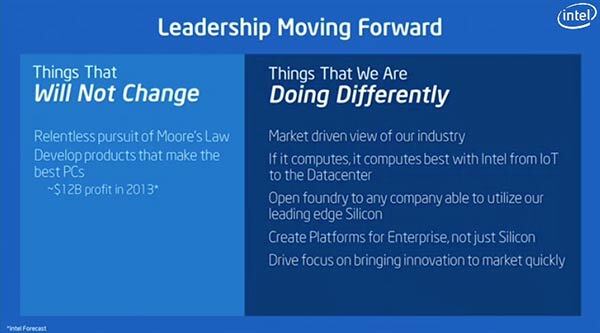 Intel will instead be using existing fab space in Arizona to run both 14 and 22 nm processes at the same time. The new facility space will be available for the firm's future technology added Mulloy, without explaining what that might be. Most commentators see the change in plans as more of a speed bump for Intel's long term roadmaps than any serious pot hole. Whether the ARM model has nixed Intel's plans is still unclear as Intel in recent months signalled that it is open to making chips designed elsewhere. This evening (UK) when the US markets close investors will be able to paw over Intel's Q4 2013 results. USA Today notes that CitiBank upgraded Intel to a 'Buy' last month on preliminary figures showing better than expected PC shipments. With much of the trading day left to go Intel shares are about one per cent down on the opening price. Sounds like without competition pushing process scales down, Intel are content to rest on their laurels and stay at the current process while remaining competitive. You've misread the article. They are still advancing their processes at the same rate, there just isn't enough demand at the moment for them to open a new facility. Intel shares fell 5% in out of hours trading. It's another flat-spot time like the P4 days. The competition have stronger parts where it counts. ARM for mobile, AMD for laptops/consoles.